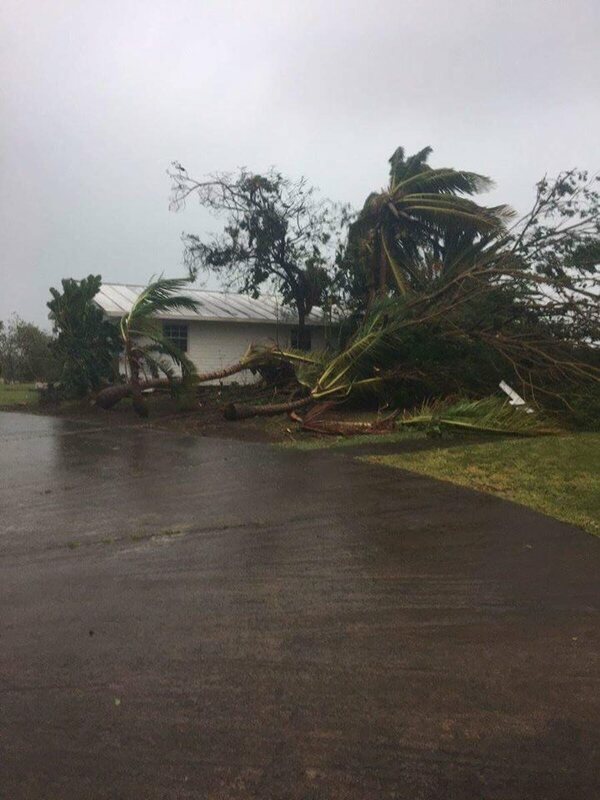 French islands Saint-Barthelemy and Saint-Martin have also been 'battered extremely violently' with even sturdy government buildings destroyed along with Barbuda and Antigua. It's the most powerful hurricane in ever recorded the Atlantic basin with winds approaching 200mph and the hurricane is the size of France and the experts are expecting a catastrophe. Hurricane Irma, packing winds of 185 m.p.h., made landfall in Barbuda, an island of about 2,000 people, around 2 a.m. Eastern on Wednesday, the National Hurricane Center said. There were reports of damage to buildings, including a police station, and of phone lines being down. Around 8 a.m., the eye had moved away from Barbuda and was passing over St. Martin, the hurricane center said. The northern eye wall was "pounding Anguilla," the center said. The Category 5 storm was churning toward Puerto Rico and threatening havoc and widespread destruction on several nearby islands, including St. Kitts and Nevis; the Virgin Islands; and Hispaniola, shared by the Dominican Republic and Haiti. Cuba is also threatened by the hurricane.